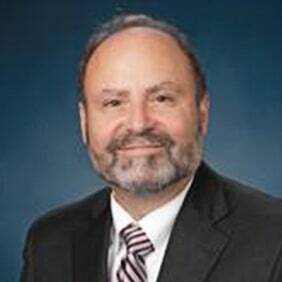 Edward F. Schrager is a partner at Baxter Rose & Schrager in Indianapolis. During Mr. Schrager’s 36 years of practice, he has regularly appeared in Federal and State courts, in a broad range of legal matters. Mr. Schrager also represents his clients in proceedings before various State regulatory agencies ranging from Boards that oversee the practice and conduct of physicians, nurses, lawyers, as well as real estate and insurance agents. Mr. Schrager has a particular expertise in representing people who are being investigated by Federal or State law enforcement agencies. He believes strongly that early intervention in the investigative process—when possible-- increases the likelihood for the best result, sometimes avoiding charges or negotiating a diversion. This also keeps such delicate matters private. Mr. Schrager’s criminal defense experience covers a broad range of charges from mortgage or healthcare fraud, to drug conspiracy, and violent crimes. He also handles more routine offenses like DUI arrests and juvenile matters. Mr. Schrager’s criminal experience includes long federal investigations as well as middle-of-the-night arrests, and raids on businesses. He also represents high profile clients like professional athletes charged with felonies (found not guilty by a Jury), and a local Indianapolis company Officer under a federal fraud investigation who was ultimately not charged. To view some of the criminal cases Mr. Schrager has handled, please click here. Mr. Schrager has a lengthy and successful track record of representing business owners who are litigating breaches of contract, issues with the sale of their businesses, non- compete provisions, and trade secret violations. To view some business litigation matters Mr. Schrager has handled, please click here. Finally, Mr. Schrager handles dissolution of marriage which involve highly valued asset cases where business valuation and asset are of critical importance. He also is experienced in handling a wide range of complicated custody issues, and understands that your children are the most crucial issue for most parents who are divorcing. Mr. Schrager has the skill and perspective to navigate parents through custody evaluations and similar procedures. To view some sample dissolution cases Mr. Schrager has handled, please click here. Mr. Schrager is highly regarded by the fellow lawyers, clients, and the judiciary. For the past 17 years, he has held the highest rating of A-V from Martindale-Hubbell, the pre-eminent independent rating. He has been chosen as one of the top criminal and business litigation lawyers in the State by SuperLawyers for the past 10 years and by Best Lawyers for the past three years. Mr. Schrager was appointed by the federal Judges of the Southern District of Indiana to serve on the Selection Panel for Magistrate Judges in the greater Indianapolis area. He has been called upon by sitting judges to serve a judge pro temp on a consistent basis. Mr. Schrager is proud that his legal work has led to many repeat clients, who also refer others to him. He considers it the highest compliment of his legal services that counsel he opposed in court and even opposing parties have made client referrals to him. Mr. Schrager is a life- long Hoosier who has lived in Indianapolis for more than 30 years. He and his wife, Pam, enjoy travel, scuba diving, local hiking, walking their dog, Pluto, and reading. They support the Indianapolis Symphony, the Indiana Repertory Theatre, local parks, and several animal rescue organizations.